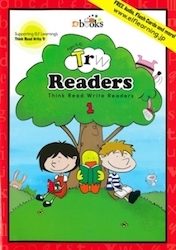 TRW Readers are a collection of beautifully illustrated phonics-based stories and activities for first-time and developing young readers. Fun characters and exciting stories capture the imagination of the reader and make TRW Readers the perfect reading supplement for your students. 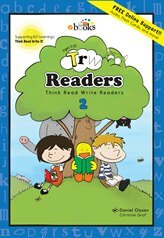 The stories are designed for use with ELF Learning’s Think Read Write 1, but can be used successfully with any phonics-based curriculum! Colorful Picture Dictionary encourages students to learn dictionary skills and new words prior to reading each story. Blending and Matching exercises for each story builds reading fluency and comprehension. Stories 1 and 2 start with only 10 letters and build from there! Students can enjoy learning to read soon!